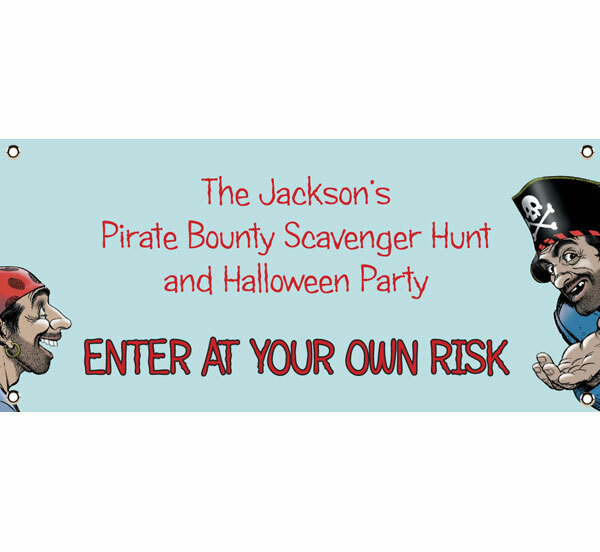 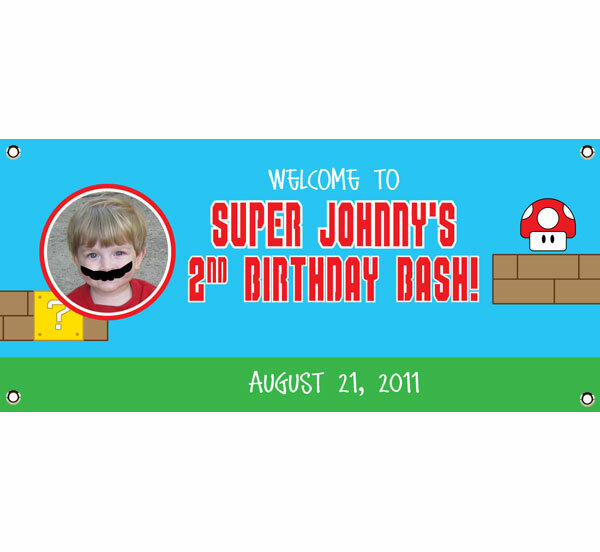 Kids birthday party banners. 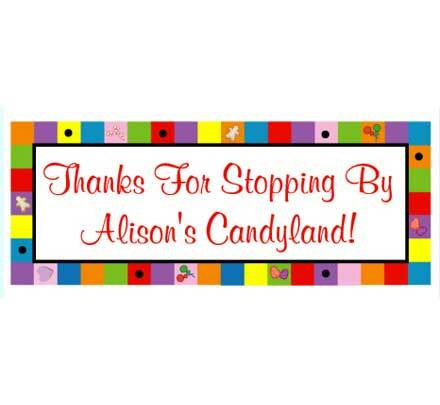 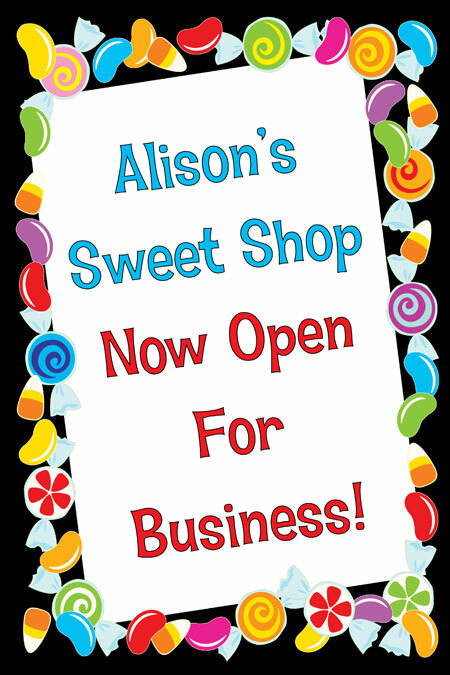 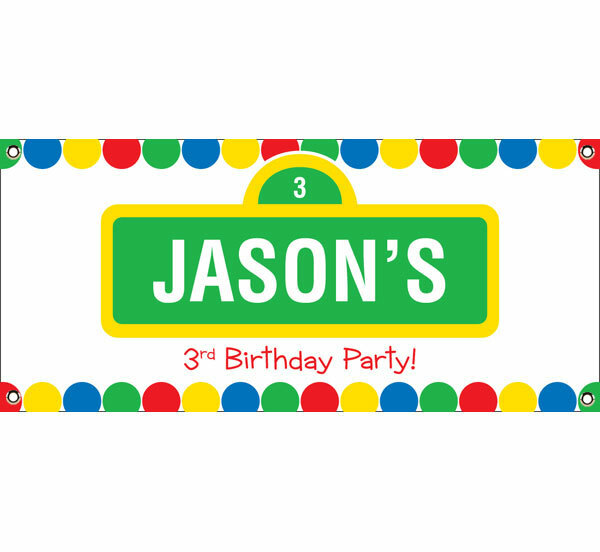 Kids party banners and welcome signs. 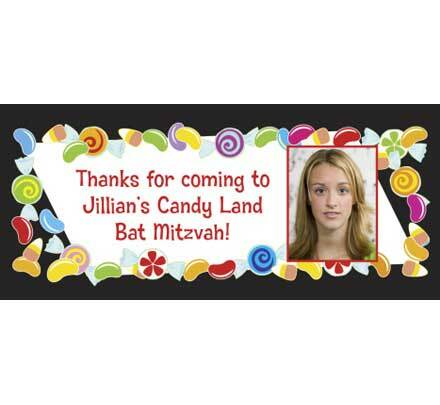 These weather resistant vinyl banners are all about the guest of honor. 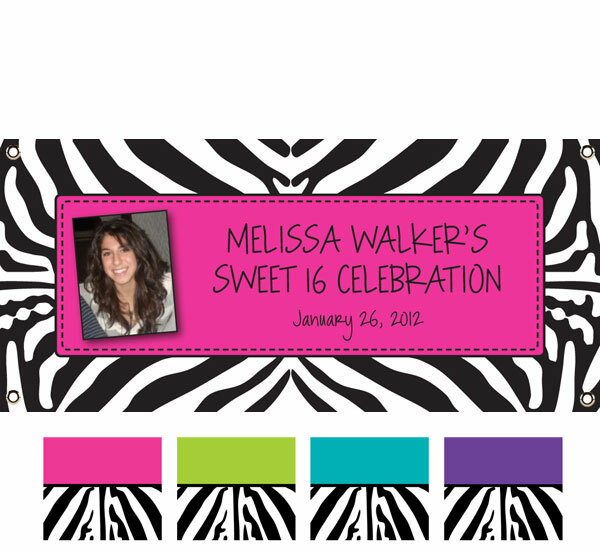 Personalized for you! 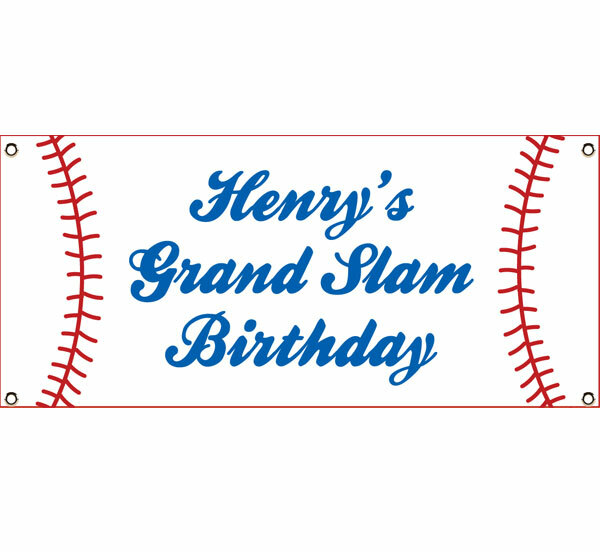 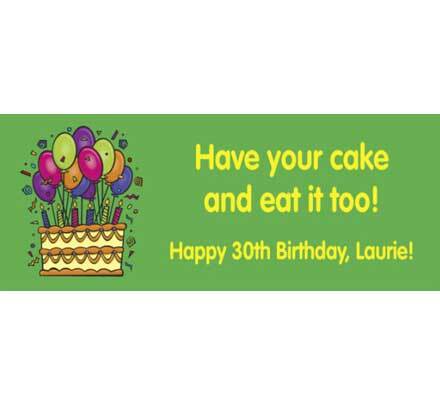 Blow out the candles on this birthday banner! 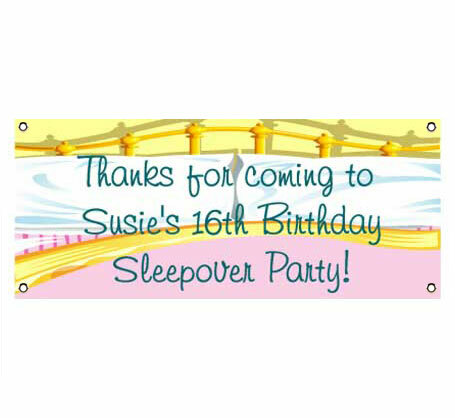 Welcome your guests to your kingdom with this princess castle banner! 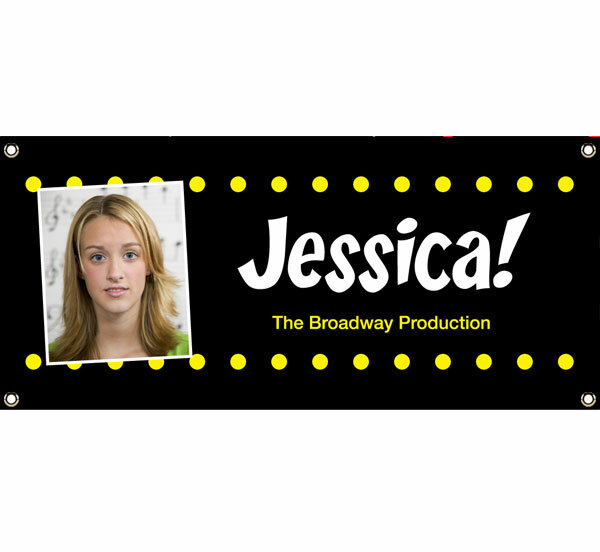 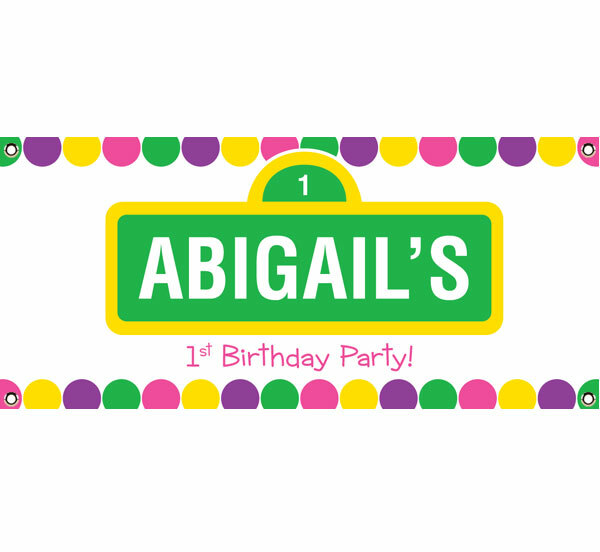 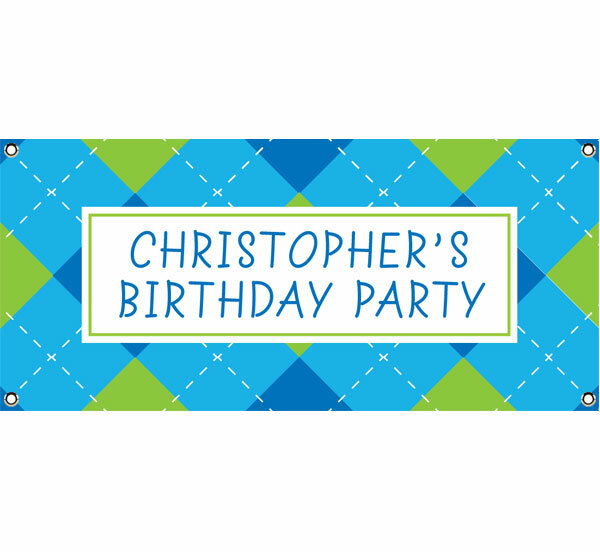 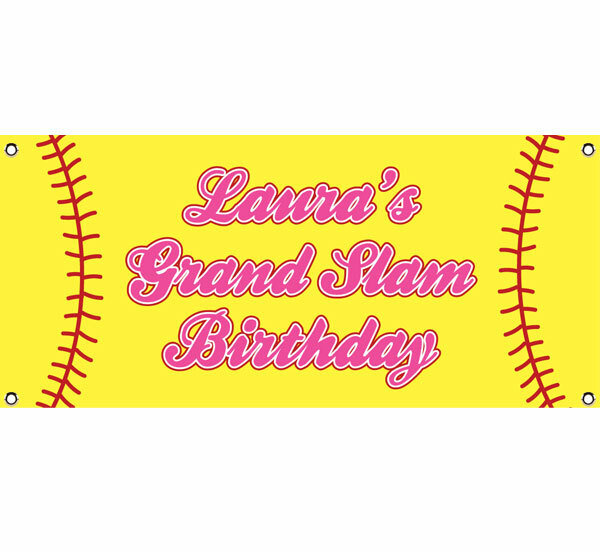 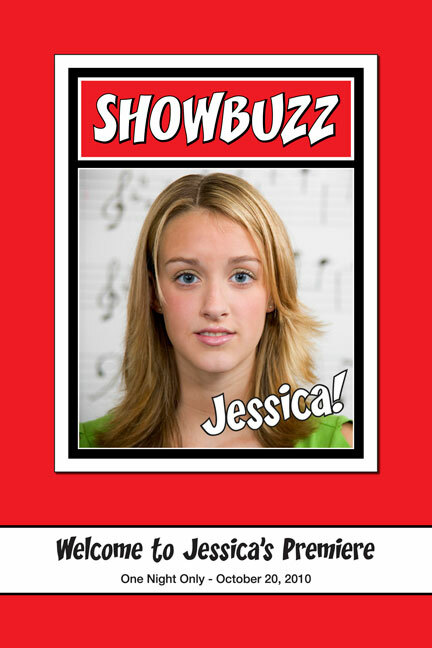 Personalize this birthday banner with your wording and photo! 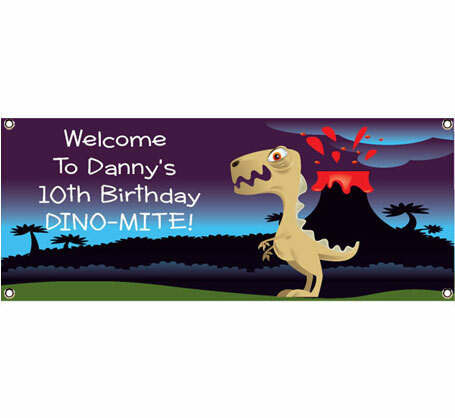 What kid wouldn't want to be greeted by a dinosaur banner! 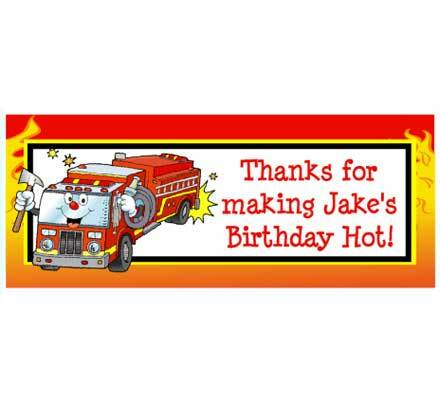 Come to my party, it's an emergency! 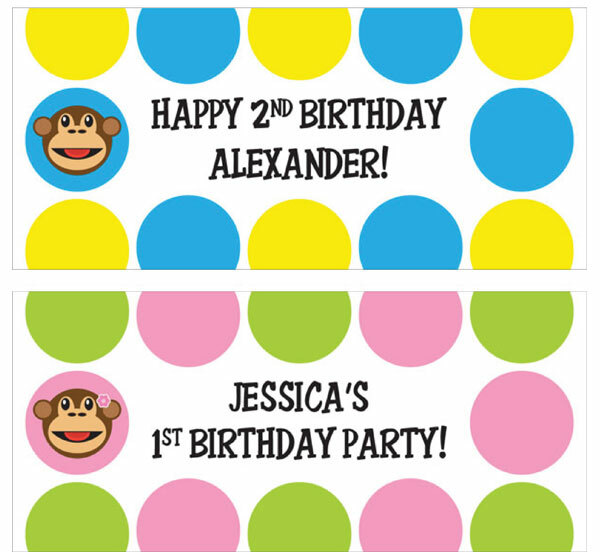 There some monkeying around with these monkey banners! 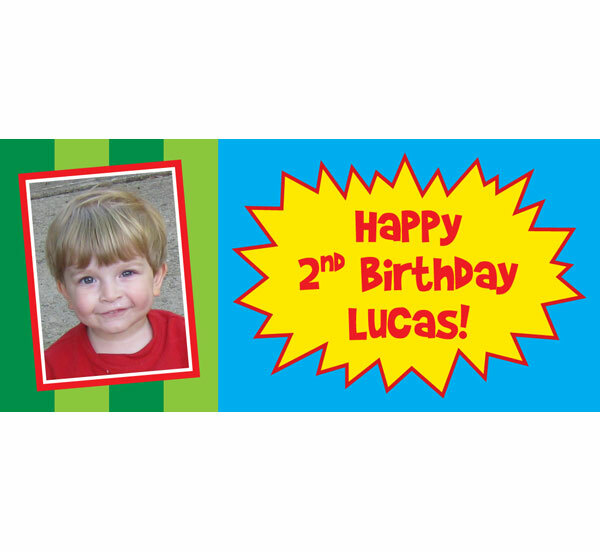 A ladybug banner for your little ladybug! 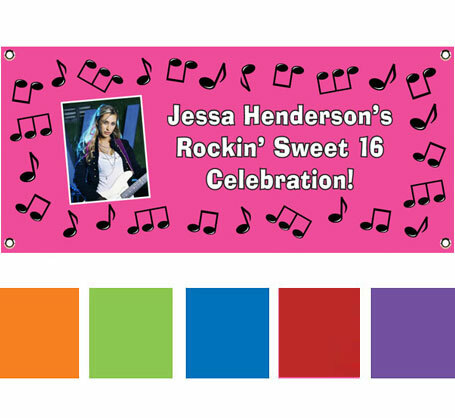 Nothing cuter than a puppy banner! 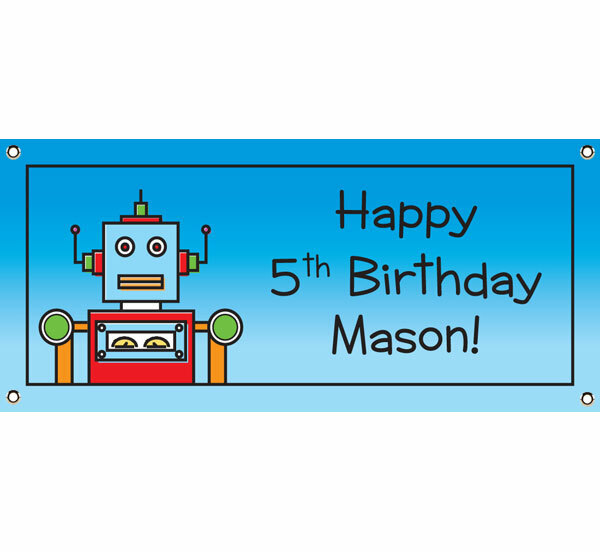 Do the robot at your party with this fun robot banner! 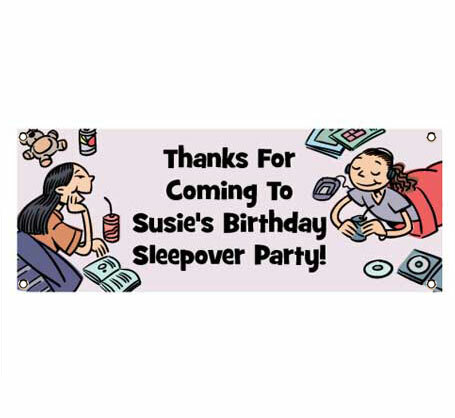 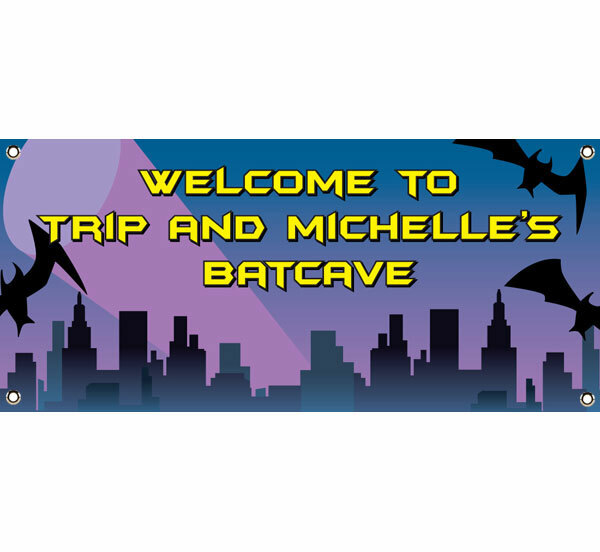 Let them know they'll be playing games all night with this sleepover banner! 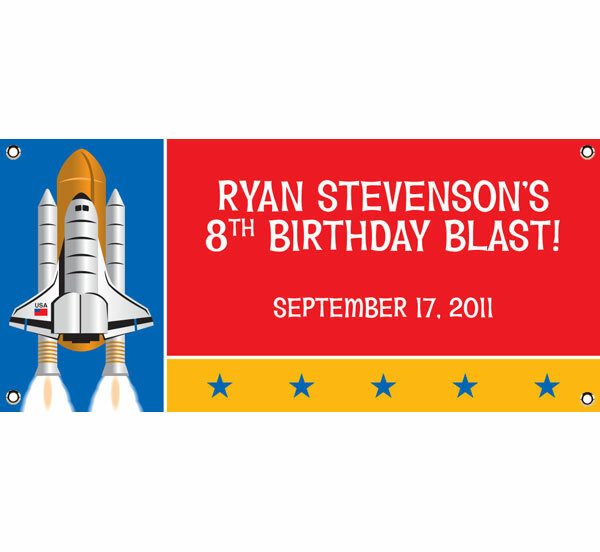 Out of this world fun banner!